This list wouldn’t be complete without including at least one Great Lake (or two). Lake Michigan, the second largest in the country and the only Great Lake fully within the borders of USA, was always going to make this list. The main reason? Chicago. 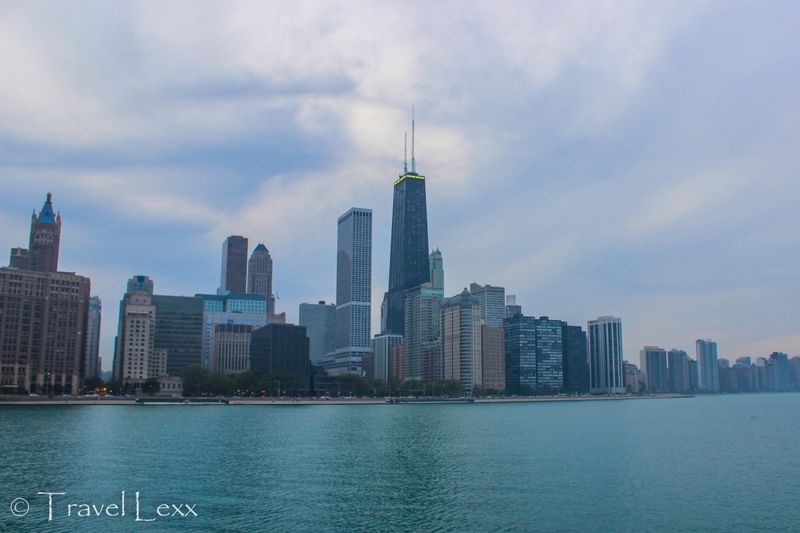 The Windy City’s waterfront location makes it an ideal access point. In the summer, locals sunbathe and play volleyball at one of the many beaches. You can sail, kayak or SUP with the city’s incredible skyline as the backdrop or cycle along the 18 mile Lakefront Trail. For something a little more relaxing, the Chicago Navy Pier is a great place to while away an evening with great food, live music and fireworks. While usually associated with the Canadian Province of the same name, pretty much half of the lake’s coastline is in the US state of New York. There is plenty to see and do along the water, with numerous parks and beaches spread across the coast. Fort Niagara State Park and Historic Site and Hamlin Beach State Park are popular destinations with museums, hiking trails and jetties overlooking the lake. On clear days, it’s even possible to see across the lake all the way to Canada, the iconic CN Tower rising about the city of Toronto. 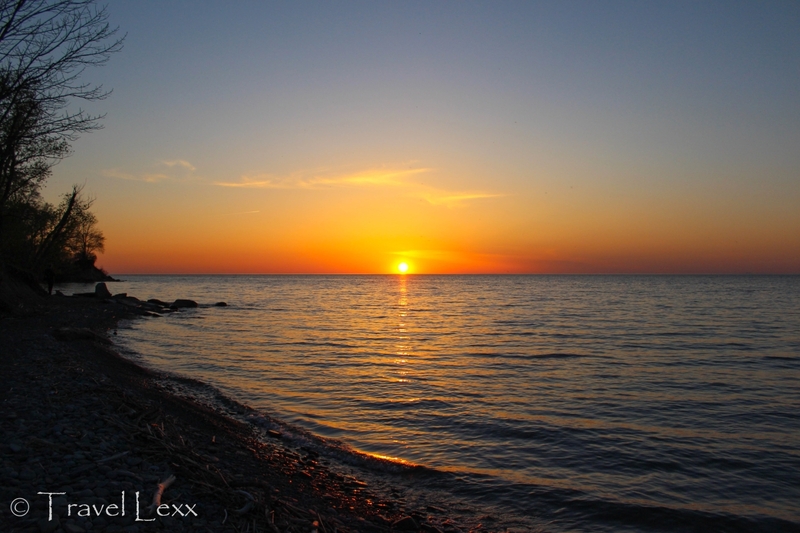 We camped metres from the shore and enjoyed one of the best sunsets of the whole trip here! The drive between Yellowstone and Grand Teton National Parks is one of the most scenic roadtrips you are likely to experience in the States. US Highway 89 snakes its way through beautiful Wyoming scenery and there are countless opportunities for wildlife watching along the way. 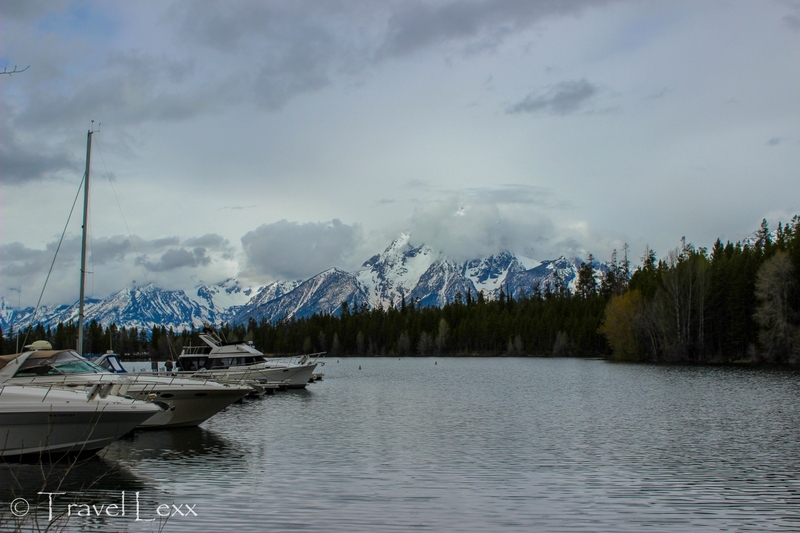 It also traces the coastline of Jackson Lake, framed by snow-covered peaks and lush forests. Boating and fishing are popular activities and Colter Bay Village is a great base for activities. Many visitors to Grand Teton NP use the nearby town of Jackson as a base to relax before or after their trip. 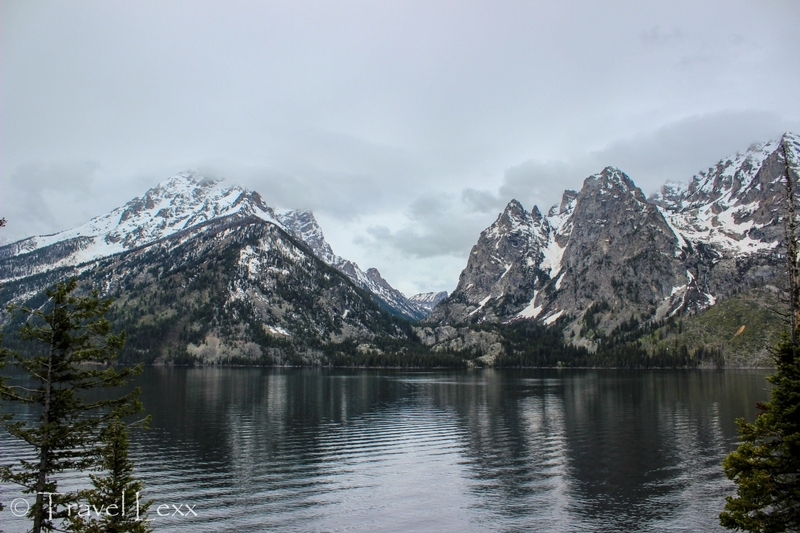 While it’s tempting to use the highway to save time, those who drive along Teton Park Road (closed in winter) are rewarded with incredible views of Jenny Lake via a scenic detour. The glacial lake is one of the most beautiful spots in the park with boat trips, hiking and climbing all popular activities. We kept making stops so we can get a better view of the beautiful lake and the mountain peaks rising behind it. This is one detour you will definitely not regret taking! Straddling the border between Nevada and California, Lake Tahoe was one of the highlights of my American roadtrip. USA’s second deepest lake is surrounded by mountains, pine forests and beaches. 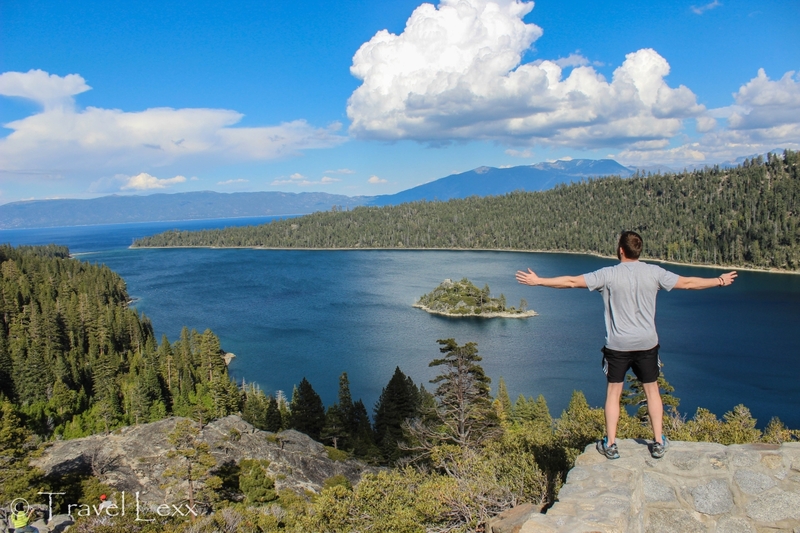 Hiking is popular in the summer and, in the winter, skiing becomes the activity of choice – Tahoe boasts many resorts and even a site of the 1960 Winter Olympic Games! We camped near the shore at Zephyr Cove and spent time hiking trails in Emerald State Park. We looked out over Fannette Island – the lake’s only – and jumped into the cold water for a refreshing swim. There are cruises on a replica paddle wheeler and sailing trips allowing visitors to explore the lake. Mono Lake is an ancient salt lake located just inside California’s border with Nevada. It’s had a troubled past, with the city of Los Angeles diverting water from it over the course of the 20th century. 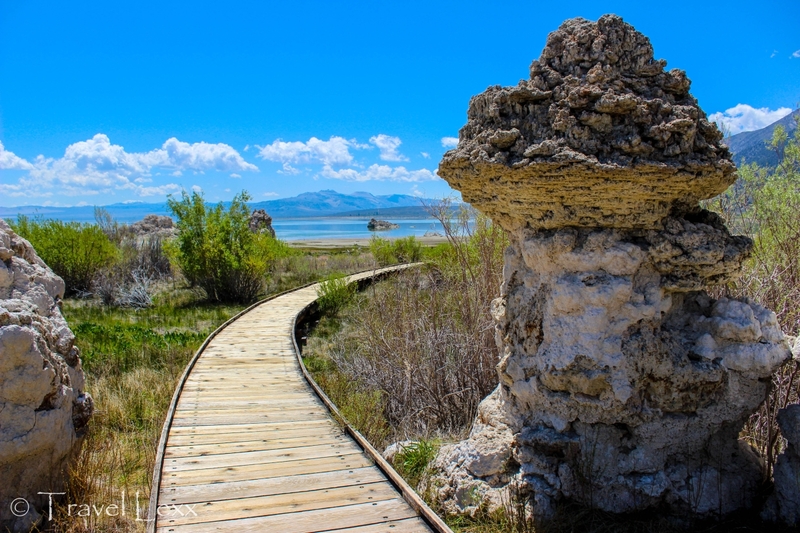 The receding water levels, however, revealed geological formations called tufas which are now protected as part of the Mono Lake Tufa State Natural Reserve. We took a one mile nature trail along a boardwalk explaining the history of the lake, the tufas and the abundant bird species that either migrate to or nest at the lake. The lake is pretty easy to access on the way to or from Yosemite National Park. Yosemite National Park is one of my favourite places in USA. There is just so much to see and do and the scenery is nothing short of magical. Even the lesser visited parts of the park, such as Tenaya Lake, are jaw-dropping. This alpine lake is surrounded by huge granite rocks and is accessed by a walk through a pine forest. There is a sandy beach, ideal for a relaxing with a book. Those who fancy a swim in the lake, be warned. It lies at an elevation of 2480 metres so the water is very cold. We did manage to run in and out for a refreshing dip! 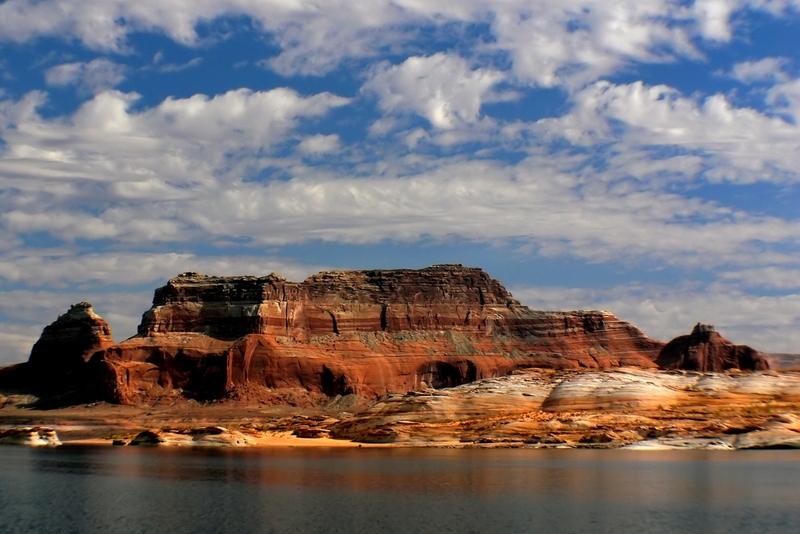 Ok, so Lake Powell is actually a manmade reservoir but that doesn’t make it any less beautiful or fun to explore! The flooding of Glen Canyon in the 1960s led to the creation of the lake and, with it, the Glen Canyon National Recreation Area a few years later. Today, it’s possible to join boat tours of Antelope Canyon and Rainbow Bridge National Monument. Watersports, fishing and swimming are popular activities while, on dry land, there are loads of good hiking and horse-riding trails. I didn’t spend a lot of time at the lake but the views were spectacular! One of the most famous parks in the world, Central Park attracts millions of visitors every year. 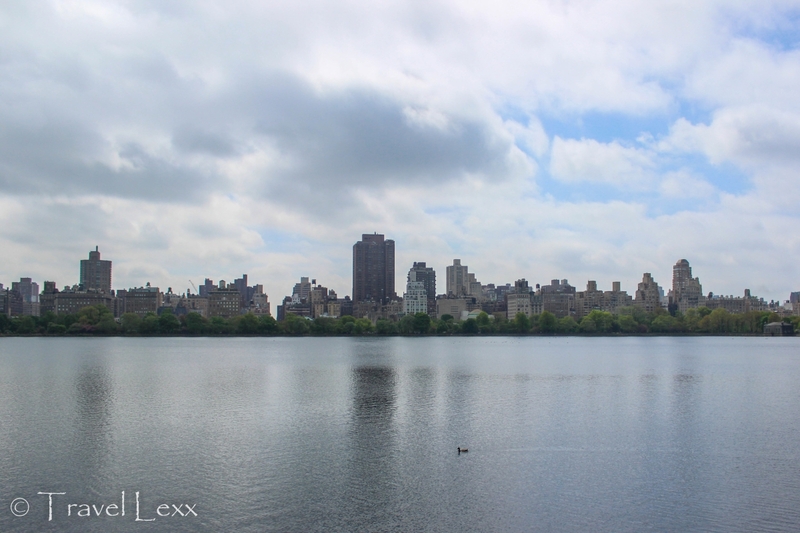 The huge Reservoir, an artificial lake which used to provide New York’s water supply, is an iconic part of the park. The running track that circles around the lake is popular with New Yorkers and if often frequented by celebrities. Walking around the Reservoir provides some great views of NYC’s skyline as well as opportunities for people watching. I went for a more active option and joined a bike tour, exploring Central Park and learning about its history. Central Park Bike Tours arrange tours and bike hire just a block away from the park’s 7th Avenue entrance. Have you been to any other scenic lakes in USA? Let me know in the comments! This entry was posted in North America, USA and tagged Arizona, beautiful lakes, california, Central Park, chicago, Jackson Lake, Jenny Lake, lake michigan, Lake Ontario, Lake Powell, Lake Tahoe, lakes, Mono Lake, Nevada, roadtrip, Tenaya Lake, travel, usa, Utah, Wyoming, Yosemite NP. Jackson Lake is one of my favorites. No matter how many times I visit, I feel freshness inside. But your photos look kinda different. :p BTW, excellent writing. I haven’t been to the USA for years and there certainly more I would like to see. You have a great section of lakes here. Plenty to add to my bucket list. I’ve just come back from my second visit and loved it just as much as the first! Such a fascinating country on multiple levels. Ah I would have LOVED to go to Oregon but unfortunately it was a bit out the way for that trip – but Oregon and the North West are definitely on the list when I go back! I’m tempted to go on a lakes of the USA road trip after reading this! I have only been to Lake Ontario and Lake Michigan from your list. From your pictures, Mono Lake looks the most beautiful and interesting as well with it being a salt lake. I would have LOVED to explore Lake Powell more but we just didn’t have that much time. I was at Jenny Lake in 2015 and while it was May, it was still cold and there was snow everywhere! So jealous you guys have opportunities to explore places like that in the States! Well I got to see them over the six weeks I was travelling around but we got to spend a decent amount of time at most so it was pretty fun! I just came back from Chicago too and cycled 36 miles along Lake Michigan which was super cool! Some of them I’ve heard of and some I haven’t, but all of them are stunning. I had no idea the reservoir in Central Park was named after Jackie K.O. I’ve been around it a few times either walking or cycling. Cycling was better LOL. I cycled around the park as well – such a massive park! I will definitely go for a run next time though! These are really spectacular lakes and each seems to vie with the other in terms beauty. My favourite and the pick of the lot would be Jackson Lake. Looks really blissful. Thanks guys – it’s the one lake where we didn’t spend that much time but I would love to go back and explore it properly! We love to camp all around the great USA, and there’s nothing better than camping next to a lake. We hope to do a road trip out west next summer so maybe we can hit a couple of these lakes! Yeah you guys definitely should – I loved camping near them and am very jealous you live in the States where opportunities to get outdoors are so plentiful! Hey nice one! I like Tenaya Lake and Jenny lake the most. 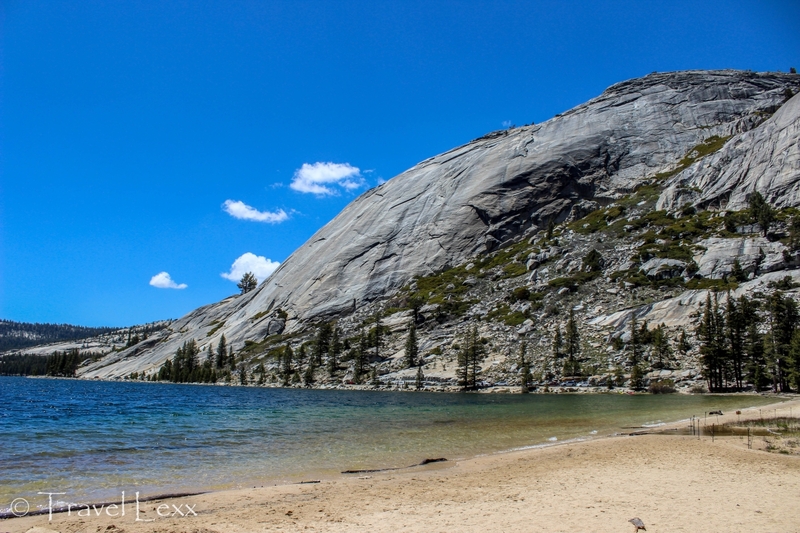 Tenaya Lake is giving a beach feeling and looks like a calm lake without too many crowd. Surely would like to visit the place. Yeah it was a surprise for sure! Didn’t expect it to be so beautiful when I haven’t even heard about it before! WOW, I didn’t realize that half of these lakes existed. Thanks for the heads up. Beautiful pictures. I think we better gather up the family, and go out and see some of these wonderful lakes.